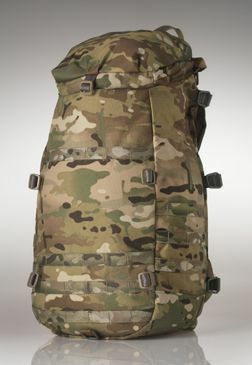 The pack in the photo is the one of the first 26Z Tactical WorkSacks. We just can't keep up with demand for the 26Z Tactical WorkSack it seems: as soon as we make one in order to take pictures of it, somebody needs it and we ship them all off again. 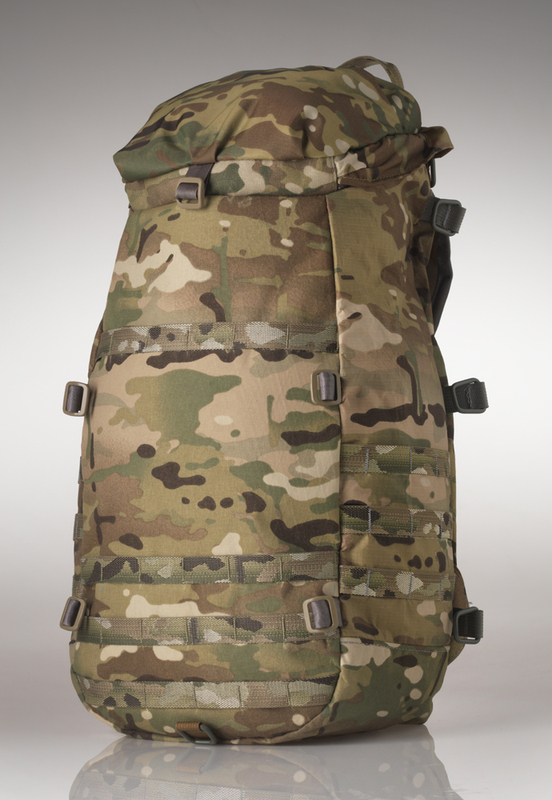 The 26Z Tactical WorkSack has 3 PALS stripes on the low sides of the pack and 2 PALS stripes across the upper half of the front panel. The pack does NOT have the lower attachments to carry ice tools or ice axes. The pack has fixed shoulder straps and load lifters. It is designed to ride high against plates, using the plates themselves as the frame system. A hipbelt is not recommended with this pack as the pack rides quite high on the user's body.